Following the inauguration of the Jubilee line in the later part of the 20th century, its subsequent extension by means of the Jubilee Line Extension in 1999 warranted stringent measures against structural vibration. London Underground enlisted the assistance of Getzner Werkstoffe GmbH for a suitable solution for its baseplate pads. Having been in constant operation for almost 20 years it was time for a health check; Jonathan Bray, Senior Track Engineer at Amey plus Getzner Werkstoffe’s Stefan Vonbun, Product Manager and Lukas Mayer, Area Sales Manager, provide a brief overview of the results in this article. The Jubilee line is the newest line in London Underground’s network, originally opening in 1979, and was named after the silver jubilee of Queen Elizabeth II. It took over part of the existing Bakerloo line with a new section being built to Charing Cross. The line was further extended in the 1990s with the so-called Jubilee Line Extension (JLE). This new section opened in 1999. The Jubilee Line Extension runs from Green Park to Stratford in east London with 10 intermediate stops. It greatly improved the access to public transport for the neighbourhoods along its route, including the financial centre of Canary Wharf and the entertainment centre of North Greenwich. Today the line is the third busiest on the network with approximately 213 million passengers per year. The London Underground engineers responsible for the design of the Jubilee Line Extension in the 1990s were aware of the latest requirements for minimising the impact of structure-borne noise and vibration. London Underground found a suitable partner in Getzner Werkstoffe GmbH to support the design of a bespoke engineering solution. As a one-of-a-kind project Getzner not only provided the elastic baseplate pads made of Sylomer®, but designed the whole rail fastening system in conjunction with London Underground. The elastic baseplate pads (dimensions: 300x150x25mm) were designed with an asymmetric stiffness distribution in order to avoid rail head tilting, with the stiffer part of the pad facing outside of the track. The asymmetry was achieved through an elliptical cut that was positioned slightly off centre. When producing the Sylomer® base – plate pads, a groove was moulded into the side in order to facilitate the crucial identification of the inner side of the pad and thus enabling correct installation on site. After nearly 20 years of in-track operation, London Underground was interested to understand how these pads were performing. The main question being: for how much longer will the elastic pads remain fully functional? London Underground approached Getzner in November of 2015 with an enquiry to remove some of the baseplate pads originally installed in 1996 for testing purposes. The project aimed to gain insight into the long-term behaviour of elastic polyurethane baseplate pads, thus increasing the under standing and helping both London Underground as well as Getzner to better determine the possible realistic life cycle of baseplate pads. A testing programme was jointly developed and agreed upon, including visual inspection, dimensional control against original drawings, stiffness tests (both static and dynamic) and tensile tests. London Under ground defined the most important parameter to be the dynamic to static stiffness ratio. Furthermore, the estimation of the remaining life span of the elastomer pads was key information to be assessed. In the night from 31 January to 1 February 2016, track engineers from London Underground accompanied by an expert from Getzner Werkstoffe GmbH removed 10 pads from both a curved and a straight section, between Canary Wharf and North Greenwich stations for testing purposes. The first impressions upon lifting the rails were very positive, since the majority of the pads had no visible damage at all. Besides some dirt from the track and conventional rust particles from the rails, the pads were found to be in very good condition. Besides the pads, the other fastening system components were also found to be in good condition. After removal the 20 pads were then brought to Getzner’s testing facilities at its headquarters in Bürs, Austria to undergo the previously mentioned testing programme. 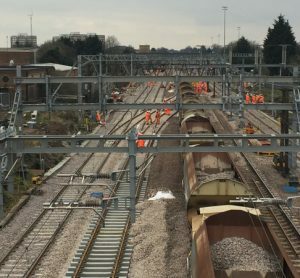 All tests were carried out in accordance with the respective norms, original project specifications stemming from the year 1996 and under supervision of a London Underground representative. Quality assurance data collected during the original production phase served as a reference in order to compare original to current performance of the pads. As the visual inspection had already yielded very promising results, the dimensional control also showed a positive outcome. With regard to the thickness, being an important indicator for creeping/permanent deformation of the material, the control showed excellent results: every pad was still within the thickness tolerance of +/- 1mm. The samples subsequently underwent static and dynamic testing on an Instron PSB 250 hydropulse test rig. The tests were carried out pursuant to the original specifications. The samples from the track were tested at 30Hz with evaluation points at different pre-loads. The originally defined criteria for the ratio of dynamic to static stiffness was set to be smaller or equal to 2.75 at 30Hz. The measured dynamic to static ratio of all pads was found to be still well below the originally specified ratio, with a mean value of 1.5, thus implying high performance. The baseplate pads taken from the Jubilee Line Extension tracks endured heavy use over a period of 20 years. 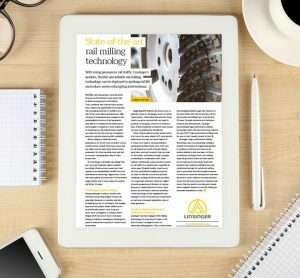 The data of London Underground shows that the pads were subjected to 77.4 million load cycles and 565 MGT (Million Gross Tonnes). The real loads are about 23% higher than the originally anticipated values calculated by the Technical University of Munich, due to rapidly increasing passenger numbers on the Jubilee line. A very good indicator that the pads are still good for further use is the thickness of the pad. All pads are still within original thickness tolerance. This – amongst other factors – indicates that the resilient pads still show full functionality. Another important factor to be taken into account is the dynamic to static stiffness factor, indicating good performance during the passing of a train. The ratio is still well within the original specified value; another strong sign that proper functionality and performance remain intact. After analysing the positive outcome of the tests and calculations with London Underground – and given the fact that during 20 years of operation not a single pad had to be changed – despite a tonnage of 565 MGT, it is very likely that the Jubilee Line Extension baseplate pads will remain fully functional for decades to come. 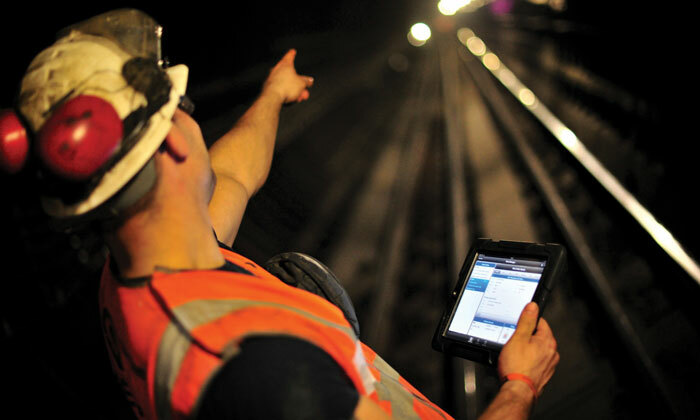 Getzner and London Underground have agreed upon a follow-up pad removal and respective testing programme in five years in order to further observe the development of material properties of the Sylomer® baseplate pads. 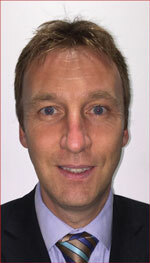 Jonathan Bray is a Senior Track Engineer at Amey with nearly 30 years of experience working in the UK rail industry. He started his career as a graduate with British Rail in the 1980s and then joined Amey in 1996 and has worked in many different engineering roles, mainly associated with track and infrastructure maintenance. Since 2003 Jonathan has been working for Amey at London Underground, initially with Tube Lines as part of the PPP contract and latterly as part of the small team running the management contract that Amey has with London Underground for the maintenance of all aspects of the Jubilee, Northern and Piccadilly lines. Jonathan is a Fellow of both the Institution of Civil Engineers and the Permanent Way Institution and a Member of the Institute of Asset Management. Stefan Vonbun is a Product Manager specialised in elastic solutions for slab track superstructure at Getzner Werkstoffe GmbH, Austria. 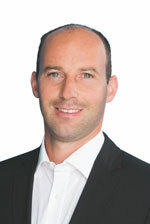 At Getzner Stefan is responsible for Mass-Spring Systems, baseplate pads and sleeper boot insertion pads made from high-tech polyurethane materials. Stefan holds a master’s degree in mechanical engineering and management from Vienna University of Technology. 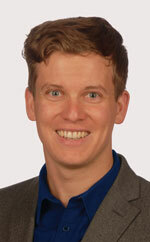 Lukas Mayer is Area Sales Manager at Getzner Werkstoffe GmbH and has been responsible for the UK market since 2005. After completing Commercial School in Feldkirch, Austria, Lukas worked for two years in a London-based international trading company. After his return to Austria he joined Getzner and has successfully introduced Getzner’s Sylomer and Sylodyn products in the UK and other markets.